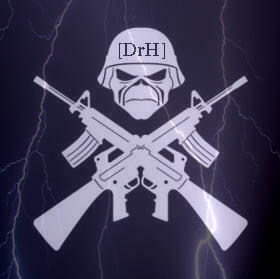 Hi everyone, I'm the leader of DrH otherwise known as [DrH]Deathwatch[Fdr]. I would like to duel someone to gain experience and for fun:D.
2- Monday to Friday, 10:00 to 5:00Pm GMT +09:30. 4- I don't really care, but preferably someone who's really good. 5- Again, I don't care, but FFC or knife would be best. 6- deathwatch12@hotmail.com or PM me at deathrebelliontohell.forumotion.com. i'll be happy to do this after the vacation that im on is done. which will around the 11th or so of may. I will be happy to do between 7 a.m - 1 p.m GMT + 3. 2- Any day of the week, 7 a.m - 1 p.m GMT + 3. 4- preferably someone who's really good. 5- knife would be best. asad wrote: I will be happy to do between 7 a.m - 1 p.m GMT + 3. I'm talking to both you and Imperial. -preferably someone who's really good. That should be written in your own duel request-in a new topic. You are accepting MY duel request here. So you are automatically duelling me. Clear? [DrH]Deathwatch[Ldr] wrote: Hi everyone, I'm the leader of DrH otherwise known as [DrH]Deathwatch[Fdr]. 4- You of course lol duh? Talk to me on MSN, best to download Xfire dude.